A shortcut cut recipe that makes getting a delicious meal on the table in no time possible! 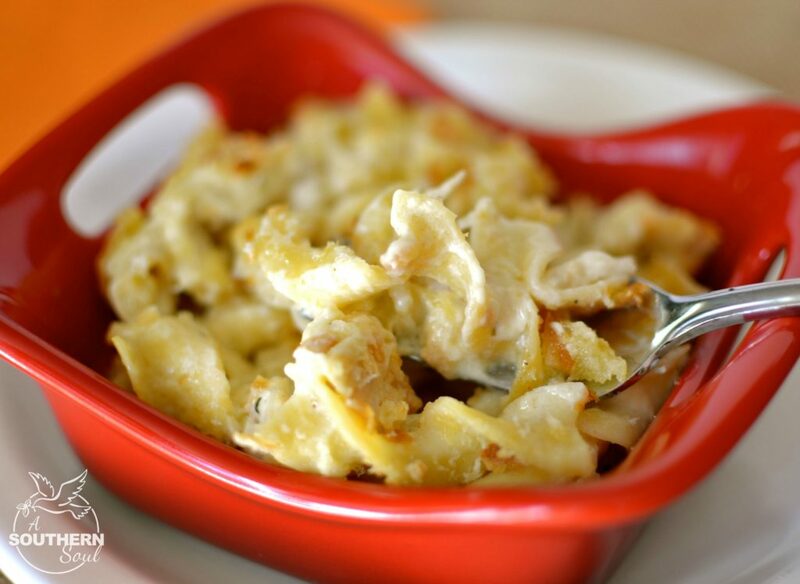 A store bought rotisserie chicken, noodles and a few other, simple ingredients are turned into a creamy casserole that screams comfort food. My family is like so many others. We’re busy running all day with school, work and activities. Then, before we know it, it’s time for everyone to gather around the table and push the worries of the world away. The family table is where so many memories are made so it’s important to make sure we keep it a priority in our lives. With that in mind, I’ve created a few easy to make main dishes that I can whip up in a jiffy. I’m always on the look out for family friendly, main dishes to serve so that all I have to do is add a salad, some crusty bread and boom…supper is on the table! 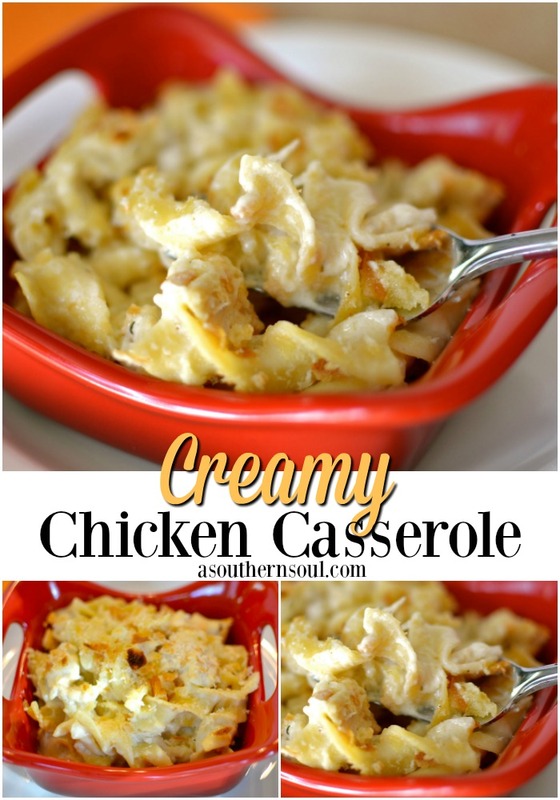 This Creamy Chicken Casserole is one of those dishes at it’s best! 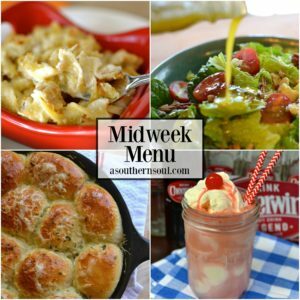 When my schedule is packed and there’s little time for getting creative at supper time, I can count on this recipe to help me pull together a great meal. All I do is pick up a rotisserie chicken, grab a bag of egg noodles and then with a few ingredients I always have in my fridge and pantry, I’ve created a casserole masterpiece. 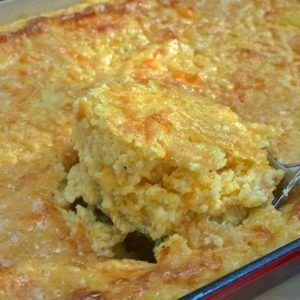 This is one hard working dish that’s at the top of my “family favorite meal” list. 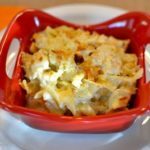 If you're looking for a delicious way to use up leftover chicken (or turkey), this is a great casserole for the job. Melt 4 tablespoons of the butter in a large saucepan over medium heat. Add the flour and cook, stirring 1 to 2 minutes until mixture is golden. Slowly whisk in the milk. Bring to a simmer and cook, whisking often, until thickened, 3 to 5 minutes. Remove from heat and whisk in the sour cream, 1 teaspoon salt, and ¼ teaspoon pepper. While sauce is cooling, cook noodles according to the package directions; drain and return them to the pot. Melt the remaining 2 tablespoons of butter in a microwave-safe bowl. Add the milk mixture, chicken and thyme to the noodles and toss to combine. Transfer to a 9-by-13-inch or some other 3-quart baking dish, sprinkle with bread crumbs, and drizzle with the melted butter. Bake until the bread crumbs are golden and casserole is bubbling, 8 to 10 minutes. Elite Gourmet EBS-0012 Maxi-Matic 12-Piece Stainless Steel Colored Mixing Bowls with Lids, 7.25 Qt. - 6 Qt. – 3.5 Qt. – 3 Qt. – 2.25 Qt. – 2 Qt. Thanks Jerry! It hit the spot at dinner last night and for leftovers as well. I am ready for that leftover turkey coming soon. 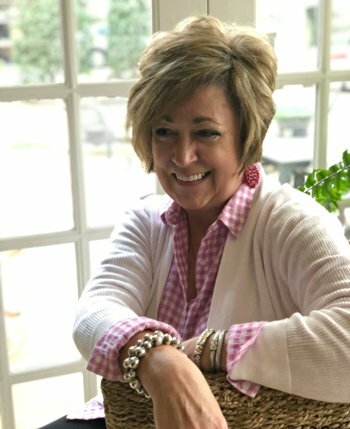 Happy Thanksgiving and I hope you'll keep hanging out with A Southern Soul! 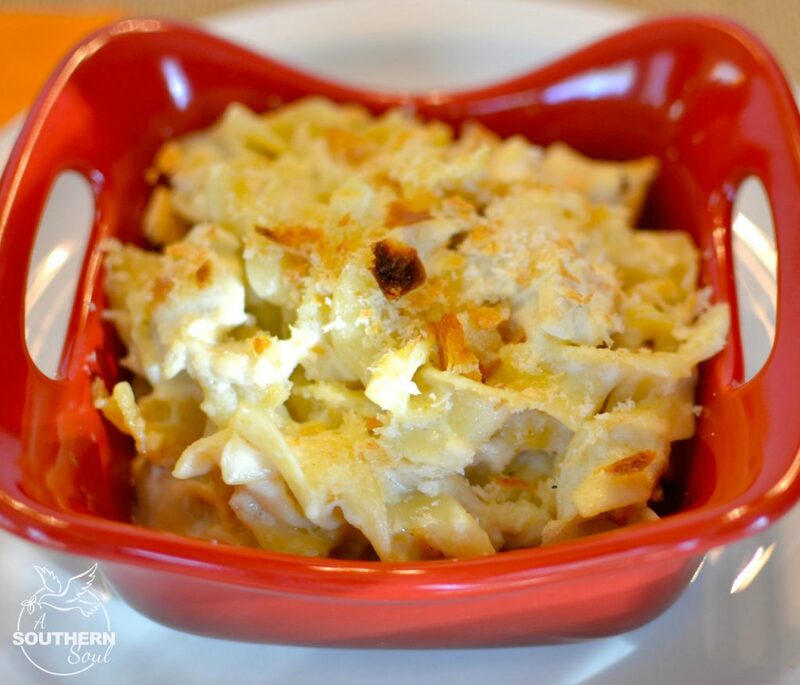 Donya, We loved this recipe, thanks for posting! I did substitute 1 cup of Greek Yogurt for the sour cream…and added a bag of peas! Sorry, I just can't seem to follow a recipe. 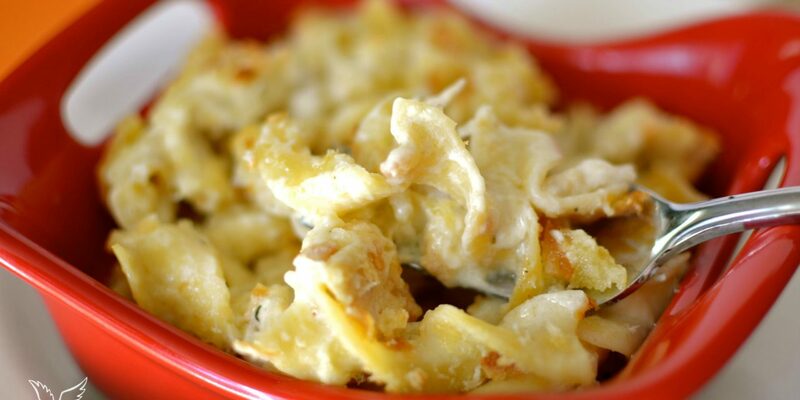 The casserole was everything you promised, so creamy. Just finished the leftovers today! Now I'm looking forward to trying the Cranberry Chutney. Thanks Beth! I love it when y'all try my recipes and even more so when you make it your own! That's the fun of being in the kitchen together…well, kinda! I can't wait to try this recipe! Look yummy. Hey Grace! I hope you'll let me know your dish turns out. Thanks for sending me your kind thoughts and keep me posted! Donya, What eggless noodles do you think might best sub for the egg noodles? This sounds great, but I have an egg-allergic son (Matthew). Hey Genette. I sorry for the late response. Any noodle that you usually use for your son would be great in this dish. Just make sure you've got enough sauce since sometimes textures differ with noodles. I have recently used a gluten-free Tagliatelle pasta and loved it. Let me know how things turn out. If you haven't already, please LIKE A Southern Soul on FB and send me a message there on how things turn out. this is super easy! My husband is from NC. and I am from Ohio, so I am always trying to find the things he is used to having on regular basis. He was fed mostly by his grandma and she was such a good southern soul food kind of lady. So any time I can find something she would've had on a sunday after church meal, is a great place to start! The only thing I have done to change this recipe is, that I use dry stuffing mix instead of bread crumbs, but I am careful not to over do it, bc it has came out very salty once! But my husband loved it!